The Creative Youth Center and Triumph Music Academy combine their creativity for a project that merges poetry and music into one show on December 16. The entire collaborative process is being recorded and will be featured on Michigan Radio in 2017. December 16 from 6 p.m. to 7 p.m.
Get plugged in here for more about this event and other news straight from the Creative Youth Center. Students at the Creative Youth Center and Triumph Music Academy are coming together for a brand new collaborative project, a free night of Spoken Word + Music. On December 16, CYC students will perform original poetry at the Wealthy Theatre Annex while Triumph students provide live music that corresponds to the poems. This project is an experiment, according to James Hughes, owner and director of Triumph Music Academy. It’s a process, one that’s been filled with questions and possibilities. 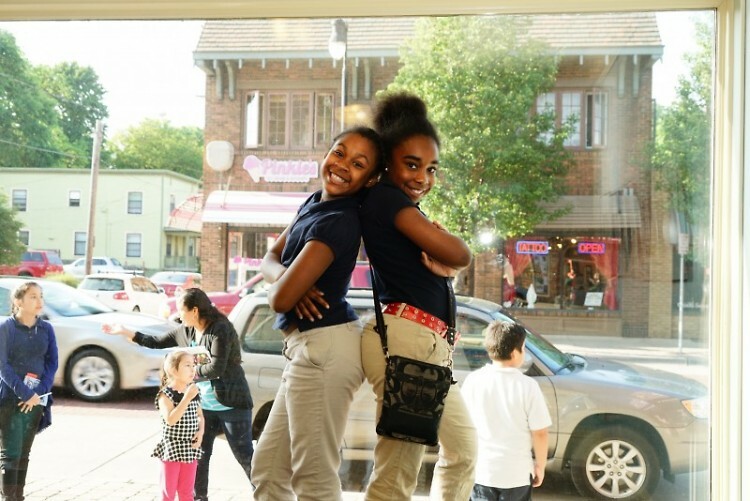 The process started at the CYC where the middle school writing students spent time getting into the groove of poetry, learning the elements of sound, like assonance and alliteration, analyzing videos of spoken word performances and having visitors perform slam poetry in the flesh. Spoken word, which is rooted in social justice, feels relevant for this context, according to Brianne Carpenter, program manager at the CYC. But the poets weren’t restricted to any particular theme or topic during their writing time because there’s so much to tell about the world and endless ways to tell it. At the end of each day of writing, the poets came together to share their work, taking turns reading their drafts. When a poet finished reading their piece, everybody would clap and listeners gave ‘shout-outs’—specific things that they appreciated about what the poet had written. “A lot of the days have ended in tears—emotional, happy tears—because the students are writing really personal and deep and meaningful pieces and the group recognizes the amount of trust and care that they are building to allow space for students to share things like that,” Carpenter said. A few blocks down Wealthy Street, students at Triumph Music Academy worked on how they were going to interpret poetry into sound. Those attending the upcoming performance might hear guitar, bass, keyboard and drums. And probably a number of things they can’t expect. Students have the freedom to branch out, finding the music in the poems while keeping the possibilities open. The writing and music students have met up to meet and play word games and will come together some more to prepare for the big performance. Both sides are excited to figure out what it’s going to be like to combine their art. A cool part of this whole collaborative project is that all of the teaching and practice sessions are being recorded and will be edited into a podcast that will be featured on Michigan Radio’s State of Opportunity this spring. According to Carpenter, being heard on the radio is exciting, not for their organizations, but for their students.